In Outdoor On March 5, 2019 No comments. 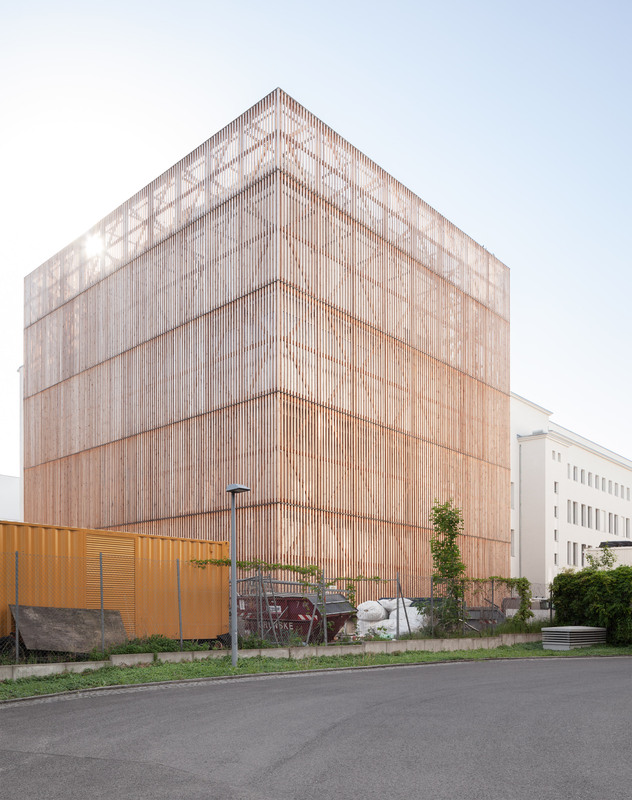 Architecture firm Ortner & Ortner Baukunst has created a new facility for the Ernst Busch Academy of Dramatic Arts in Berlin, by renovating a 1950s workshop building and adding a fly tower made from fibreglass and wood. Located on Zinnowitzer Strasse, on the former border of East Berlin, the four-storey building had been used as workshop space for opera, but had struggled to operate effectively with its location so far away from the theatres it served. 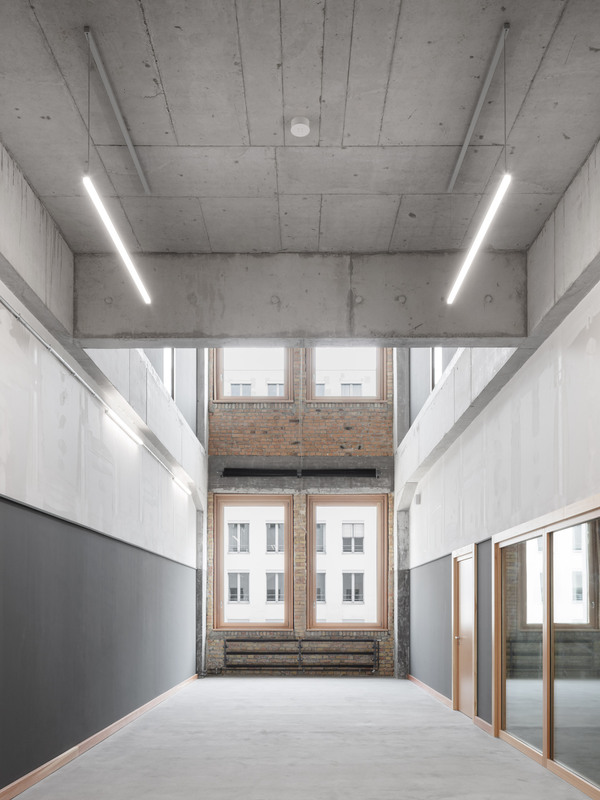 Ortner & Ortner Baukunst’s renovation sees the building transformed into a more complete facility, unifying the various disparate elements of the Ernst Busch Academy of Dramatic Arts under one roof. The architects were selected for the project through a competition hosted by the theatre school in 2011. They were chosen because their design involved changing as little of the old workshop building as possible. Through a series of simple interventions, they were able to create a complex able to accommodate 175 students and a host of facilities. Keeping the long rectangular form of the original structure, its eastern end was cut open and a studio theatre with fly tower inserted. A small glass cafe now runs along the building’s southern edge to enhance its entrance. Only elements that could not be reused were demolished, and the only volumes added were those that were necessary to meet the requirements of a modern theatre school. The interventions range from the subtle, such as the largely hands-off treatment of existing surfaces, to the dramatic, with the new 24-metre-tall fly tower allowing for a huge variety of theatre and stage configurations. 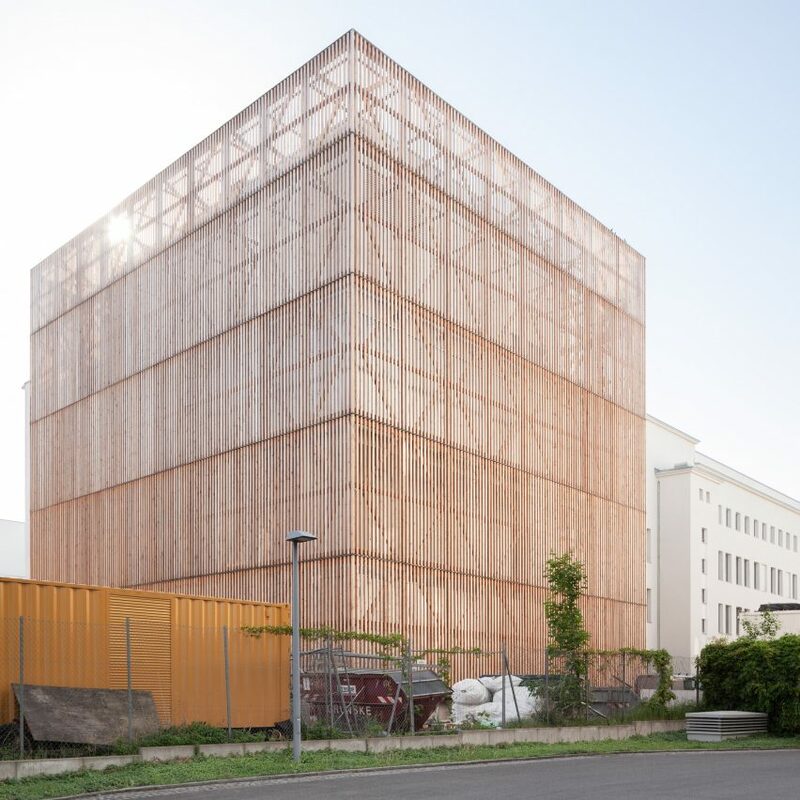 This tower, double-wrapped with a layer of translucent fibreglass and clad with timber beams, is a reference to historical precedents such as Aldo Rossi’s Teatro del Mondo, designed for the Venice Biennale in 1980. When illuminated at night, the shadows of performers can be seen moving behind the facade. 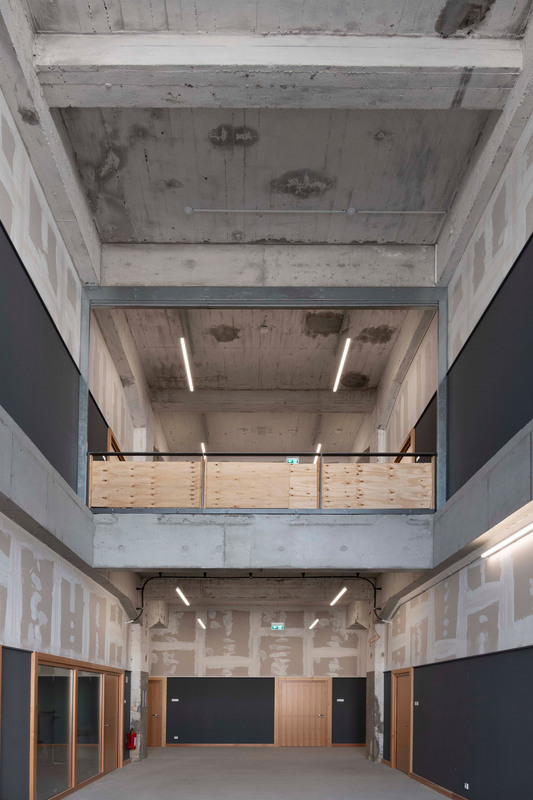 The new cafe helps open up the ground floor, entering into a foyer that connects to a corridor running the entire length of the existing building, off which workshops, studios and rehearsal spaces are located. A studio theatre is located directly above this cafe and foyer space, allowing it to become more public-facing during performances. Inside, the division between the old building and the new intervention is marked by a continuous 2.3-metre-high line. Above this line, the building has been left in its original, raw state. 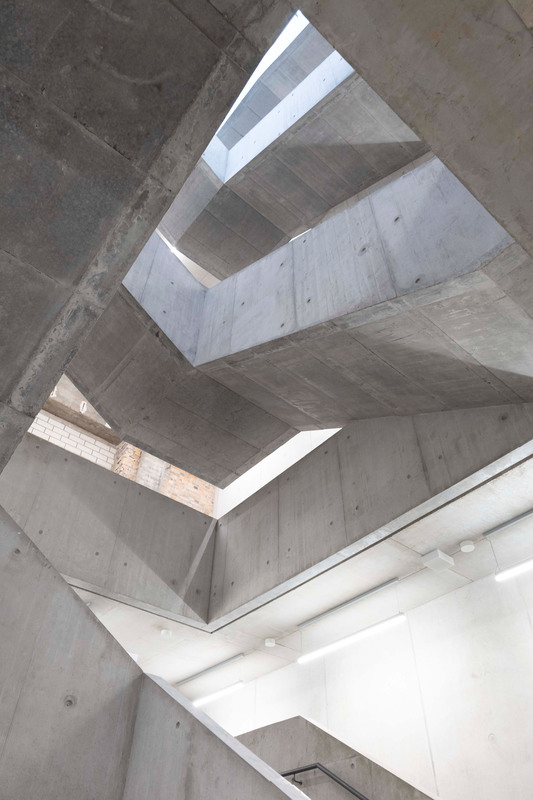 Below it, newly finished concrete surfaces have been fitted, in what the architects describe as an “encounter between raw and refined”. Ortner & Ortner Baukunst has offices in Berlin, Cologne and Vienna. 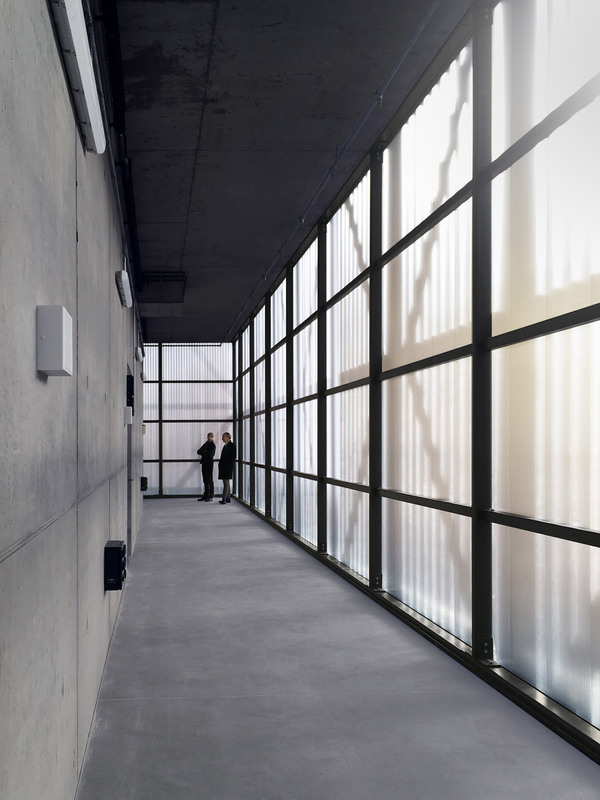 The architecture studio previously completed another insertion into an existing warehouse with their dramatic project for the NRW State Archive in Duisburg with its monolithic, windowless tower. Photography by Simon Schnepp & Morgane Renou unless otherwise stated. 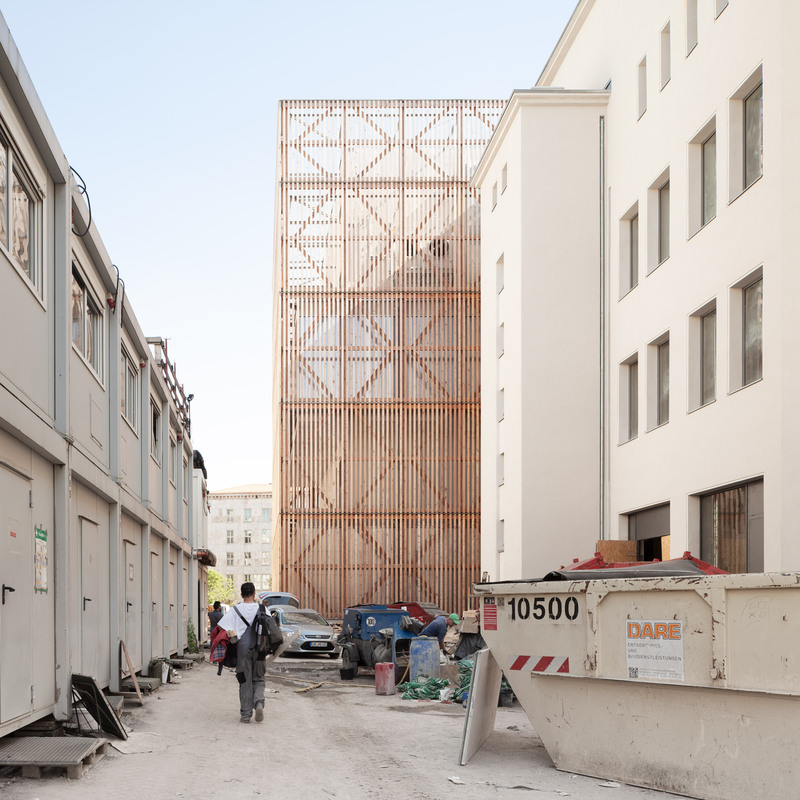 The post Berlin workshop transformed into theatre school by Ortner & Ortner Baukunst appeared first on Dezeen.